The Thinking Of Me singer has had a hectic few months hosting X Factor spin-off show The Xtra Factor and releasing his second album, and hasn't had time to find anyone to kiss under the mistletoe. 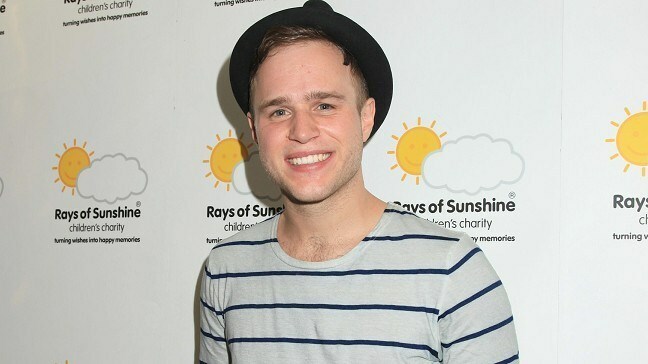 Olly said his dream gift would be "a nice, fit gorgeous model, but it's probably not going to happen." When asked what present would be second-best, he joked: "Two gorgeous fit, young models." But despite his ambitious gift hopes, the singer admitted Christmas was actually shaping up to be a more low-key affair. "I'm going to collapse in my bed and have five weeks in my bed, that's what I'm going to do. I'm going to see my family, my friends, my little nephew, just chill out and have some really nice home time," he said. Olly added: "I'm just happy being single. I'm working really hard, I'd love to meet a lovely lady and settle down but it's just not going to happen now really, I'm just too focused on my career."